Note: We have video previews we can show upon request (if you can't see it here). BACHELOR or BACHELORETTE (or other types of) Parties Welcome! We don't have neighbors in earshot to worry about and noise is not generally an issue - especially if kept within the villa. We just ask for a $250 Refundable Deposit for these types of events (be aware that we have to collect this as an additional fee after the reservation is made as an additional charge). Note that if your dates aren't available, PLEASE look at my other listings as I may have your dates available on another property. You can also contact me directly to check availability. COVETED AREA!!! You can't beat the neighborhood. It's convenient to EVERYTHING! Super desirable area of Goodlettsville. We're located in the historic Magnolia Station neighborhood, close to Old Springfield Pike and Baker Road, 2 miles from I-65 and only 10 minutes from downtown Goodlettsville and Rivergate Mall. 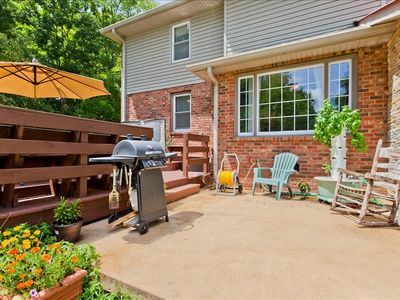 Good location to everything while still living in the best up-scale part of Nashville/Goodlettsville!. Established community. -Furnished villa on 10 ACRES. 10 MIN FROM SHOPPING and DINING!! Only 10 minutes to Rivergate mall area with all the big box stores - Sears, Macys, Bestbuy, etc. 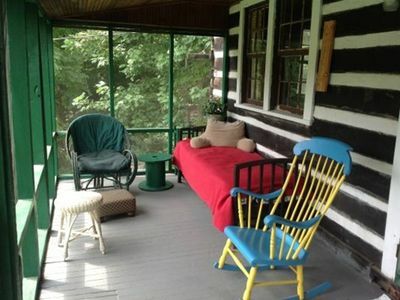 -Super great quiet location next to creek and walking paths through the woods. Do know that we have a long 1/4 driveway that is mostly dirt so don't get freaked out by that. We are in a beautiful valley at the end of the driveway. 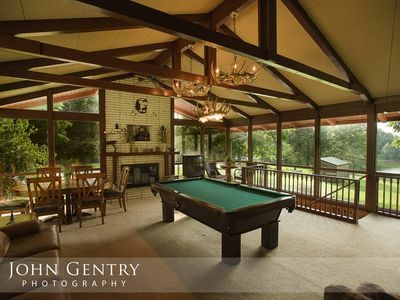 Its a nice secluded location but very close to everything you'd want. -Child's playground area and tree fort in back yard (sorry to say insurance won't let us let you use the trampoline). Pack-n-Play, child gates, and high chairs available. -PETS: Pets allowed if house-broke, washed weekly and before they arrive. It is preferred that you keep the pets in the non-carpeted areas and out of the bedroom areas where hair clean-up is a problem for our guest services. Pets should never be allowed on the furniture or beds. If you leave, please crate (we have one for you to use - medium sized) the pet in the garage/recreation area, as most pets bark and howl when left alone. Please try to respect other adjoining sleeping guests and keep noise levels to a minimum at all times. $100 per pet refundable security deposit required. -We don't mind interacting but definitely can give you privacy. You can't beat the neighborhood. It's convenient to EVERYTHING! Super desirable area of Goodlettsville including the historic Antique area. 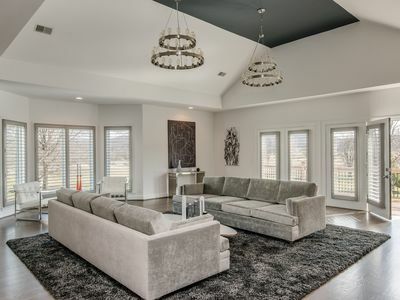 Good location to everything while still living in the best up-scale part of Nashville/Goodlettsville. Established safe community. The wildlife. If you are a musician feel free to ask about using the grounds as a great location for a venue." NOTE: Don't use Apple Siri or Apple maps to get here as it will take you to the wrong place. Self-checkin. We love to greet you between the hours of 9 am and 8 pm, after that please use the RING doorbell to wake us up in case of emergency. For a 50% refund, cancellation must be made 30 full days prior to listing's local check in time. If the guest cancels less than 30 days in advance, the nights not spent are not refunded. If the guest arrives and decides to leave early, the nights not spent are not refunded. 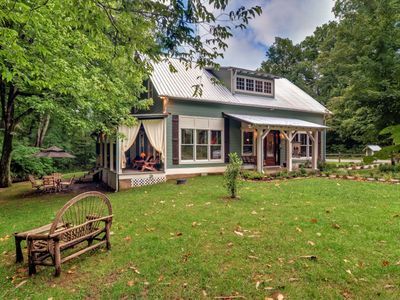 Historic Creekside Cottage 1859 Leiper Fork and Franklin TN! No other like it! 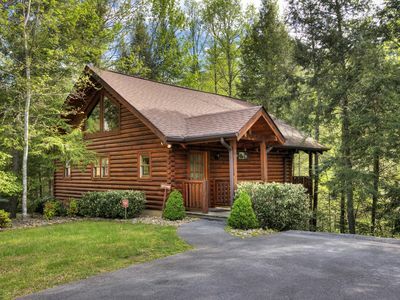 Tucked off of a secluded back-road - a perfect place for a get-away.